Teaching our children to eat healthy can be difficult. As parents we want them to get the recommended amount of fruits and vegetables without putting up a fight during every meal. How do you get your kids to enjoy eating healthy? Dina Rose, PhD is the author of It’s Not About the Broccoli: Three Habits to Teach Your Kids for a Lifetime of Healthy Eating (Perigee). 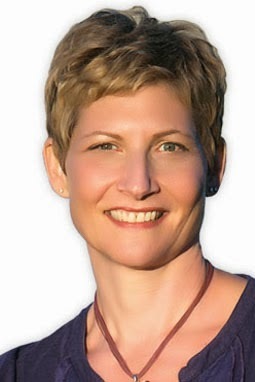 Dina’s work has been featured on TV, radio, and in both print and online news sources such as: NBC Connecticut News, Martha Stewart Radio, HuffPost Live, Good Parenting Radio, Babble, The Globe & Mail, Mamapedia, Parenting Magazine, and Spirituality & Health. In addition to writing her blog, It’s Not About Nutrition, Dina also writes for The Huffington Post and Psychology Today. This Valentine’s Day give your children a gift they can really use: the habits for a lifetime of heart healthy eating! It’s no secret that childhood obesity is a problem in the United States. But did you know that the Centers for Disease Control estimates that approximately 25% of overweight children already have two or more risk factors for heart disease? So what can you do? The best thing, according to the American Heart Association (AHA), is help your kids maintain a healthy weight. And, of course, teach them to eat a diet full of fruits and vegetables, whole grains, and plenty of heart-healthy, proteins like salmon! That might seem like a big challenge if you’re parenting a child who has vowed never to let peas pass her lips, but don’t worry. Even the pickiest eater can be taught to eat right. It won’t be long before your chicken-nugget-loving child will consider eating some heart-healthy fish instead! So what’s the secret? Think about building your children’s skills. Start by teaching your kids how to try new foods. Next, shape your children’s taste preferences so they enjoy eating fruits and vegetables. And finally, make sure your kids keep listening to their internal signals of hunger and fullness so they don’t learn to overeat. 1) Teach your children how to try new foods. It seems like trying new foods is something kids should know how to do. After all, most babies readily open their mouths for whatever you want to shovel in. But toddlers and older kids? They’re a different species! The easiest way to turn children into confident and happy tasters is to separate tasting from eating. Most parents think this is what they’re doing when they say to their children, “Just taste it, and if you don’t like it, you don’t have to eat it.” But if you hear this statement from your child’s perspective—“If you do like it, you will have to eat it”—it’s easier to see why some kids balk. What if your child doesn’t want to eat it, or even thinks he might not want to eat it? The safest course of action is to not even taste it. Research tells us that kids need to taste a food several times before they’ll accept it. The only way you will be able to reach the magic number is to switch tactics. Conduct taste tests like they’re science experiments, not dinner. Give your child a pea-sized sample of something and ask her to tell you what she thinks: It is salty? Crunchy? Like something she’s tasted before? Consider keeping a log to encourage multiple tastings. Then, practice some patience. Over time, children who taste lots of different foods start eating lots of different foods. 2) Shape your children’s taste preferences so they enjoy eating fruits and vegetables. You may have heard that children prefer bland and boring foods, but that’s a myth. Most “child-friendly” favorites are loaded with flavor. Not flavors like garlic and basil, mind you, but sugar, salt and fat. It doesn’t take too much exposure to chicken nuggets, mac ‘n cheese, and Goldfish crackers for children to develop what researchers call a pervasive palate preference for these tantalizing tastes. When that happens, fresh fruits and vegetables go out the window because they simply don’t provide the same flavor hit. So what can you do? Consciously shape your kids’ taste preferences. Stop looking at the foods you feed your kids in terms of nutrition—how much calcium or protein they contain—and start thinking about how taste preferences turn into eating habits. Crackers point kids towards chips. Granola bars aim kids toward cookies. And juice sets kids up to drink soda. Then, move your kids’ taste buds in the right direction. Set the intention to serve fruits and vegetables at every meal and every snack so these become your kids’ go-to foods. Remember, taste preferences are formed more than they’re found and eating is really a matter of math: kids end up preferring the flavors they’re exposed to the most. 3) Keep your children listening to their internal signals of hunger and fullness so they don’t learn to overeat. When parents pressure children to eat more food than they want (“You haven’t eaten enough, take two more bites.”) kids learn to ignore their internal cues of hunger and fullness. Instead, they start looking for external cues, like parental approval and whether they've eaten their entire portions. So, even though there are plenty of reasons not to trust what your children say about being hungry or full, you really have no other options. How much your children eat is something they have to decide for themselves.